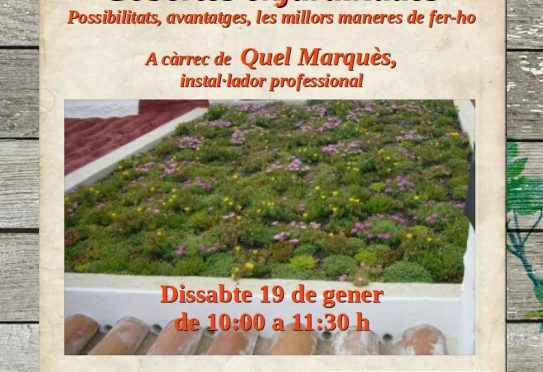 This Saturday, 19 January at 10 am, Quel Marquès will give a workshop in Es Viver of GOB on roof gardens, a different form of gardening from usual. Roofs, flat roofs and walls have the capability of being converted into green spaces. The workshop will explain where and how to do them and what benefits they will give. The workshop is open to everyone, is free and there is no need to make a reservation. Es Viver is the nursery garden of GOB, is open on Friday and Saturday mornings, from 10 until 13.30. It is on the airport road opposite the old Mestral warehouse.